Help us put more All Things Kids locations all across America! As business concepts go, All Things Kids is pretty exceptional. Our idea for exceptional toys, books and events has really resonated with shoppers, and our expansion has been pretty impressive. Now with two locations in Greater Austin, Texas, we’ve got big plans to take our fresh concept to communities all across America. We are looking for people like us, individuals that are passionate about bright and exceptional playthings for children and make decisions based on Christian values.  On one wall of each store, we have hand painted the quote that has inspired us from the beginning as parents and entrepreneurs: “The most effective kind of education is that children should play amongst lovely things” ~ Plato. If you smile at the thought of every single parent, grandparent, uncle, aunty and teacher reading this when they walk through the door then you may be the right person to share our passion. We have both Uptown and a Downtown models through our stores at The Domain in Austin and on the Square in Georgetown. Our flagship store in Georgetown is housed in a 110-year-old building in the the heart of the town’s historical Square. It demonstrates our Downtown concept, where the shop functions both as a toy store and as a place for the community to gather. It has become a thriving member of the community in just a few short years and is the exceptional destination for those looking for toys, or entertainment, or both. The Uptown concept is realized through our store at The Domain, a premier shopping destination in Austin. Property owners Simon Mall created their commerce plaza for high-end shoppers, but realized soon that there were not many stores there that catered exclusively to children. We pitched our idea of offering exceptional, quality, beautiful toys, and they gladly invited us to fill that niche. We see opportunity for growth in both models, and we invite others to contact us about helping us grow exceptionally well here and in additional stores throughout the country. Contact me, Karen Soeffker, at 512-627-4478, or email me (by filling out the simple form below) for more information on investments and franchising. By the way, when filling out the form, please remember to fill out the simple match “Captcha.” This is a simple way for us to keep the spambots out, but you need to fill it out for the mail to send!